Do you and your team work in colder environments? Are you a fisherman or farmer who needs to keep your hands warm without sacrificing flexibility? The Showa Atlas 460 Vinylove Insulated Glove provides superior hand protection in frigid temperatures. 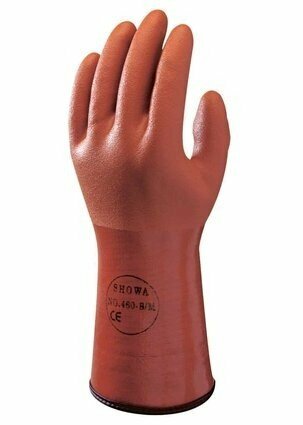 They’re the ideal cold-weather glove for fishing, agriculture, refrigeration and outdoor maintenance work. Lining keeps hands warm and dry in the harshest conditions. Special oil resistant formula withstands gasoline, kerosene oils and many acids and solvents. 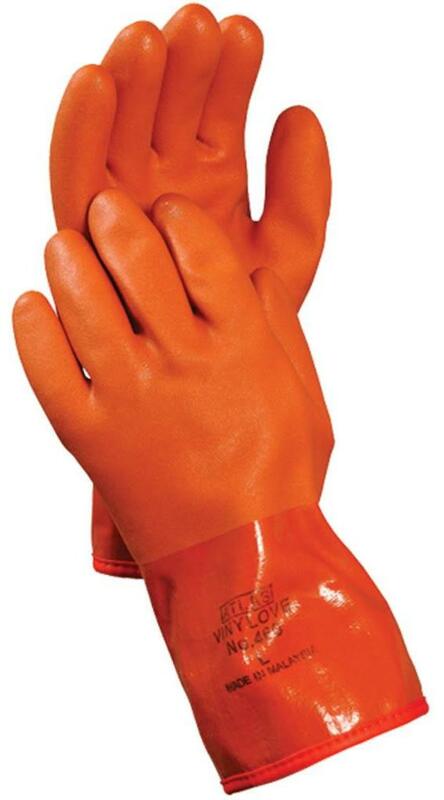 Atlas 460 gloves feature a waterproof PVC coating that offers excellent protection against the cold, yet maintains its flexibility at temperatures as low as minus four degrees Fahrenheit. This vinyl coating resists abrasions and provides a sure grip, which is beneficial when handling rough or slippery materials. They also include a seamless acrylic liner that keeps hands dry and warm without restricting movement. The specially developed oil-resistant formula withstands gasoline, kerosene, acids, solvents and chemicals. 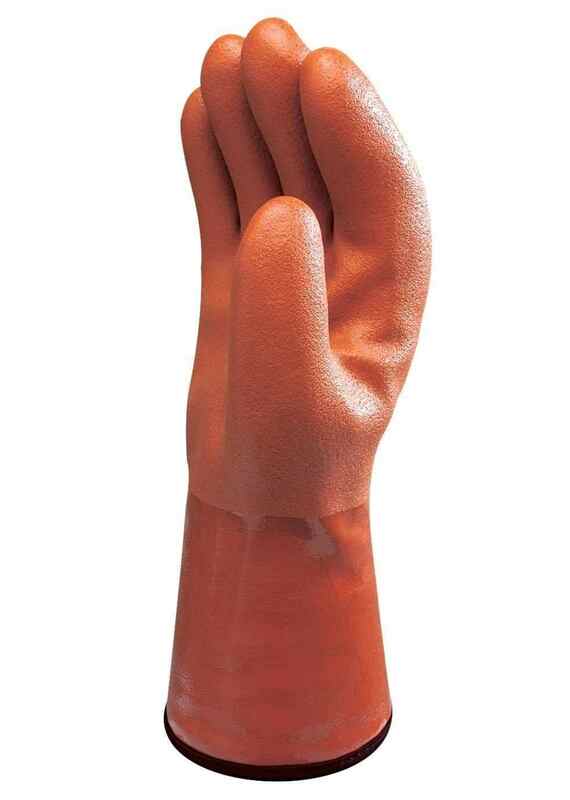 These heavy-duty, cold-resistant gloves come in medium, large and extra-large sizes, so you can find the perfect fit for your hand size. 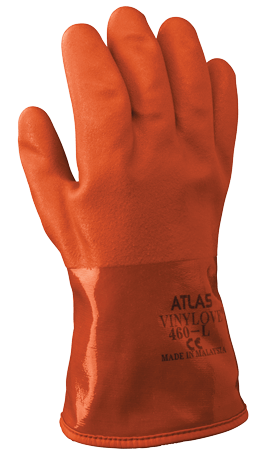 When you order Atlas 460 Vinylove insulated gloves online from PalmFlex, you’ll have access to bulk ordering that provides money-saving volume discounts. If you’re in the continental U.S., we’ll also include free shipping for all orders over $80. Our 30-day return policy is our commitment to ensuring your total satisfaction. Place your order today, and feel free to contact our customer service team if you have questions or need assistance.